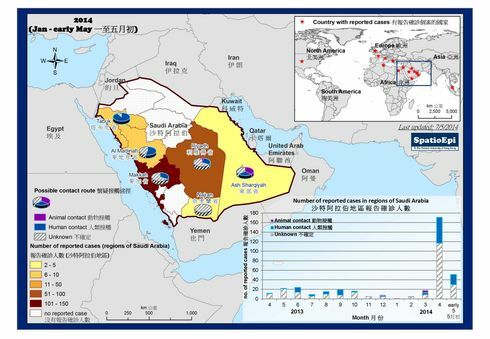 For over one year, the human population has been under the threats of a SARS-like virus. 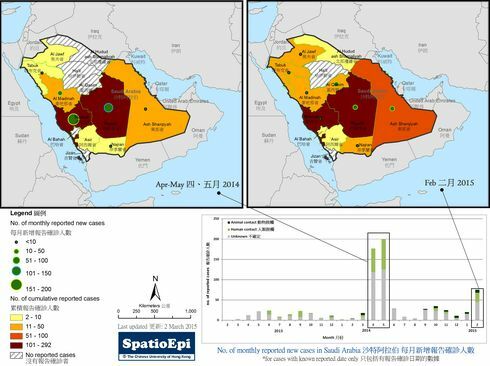 The new virus (Novel coronavirus, NCoV or MERS-CoV) began to emerge in the Arabian Peninsula since April 2012. As of June 2013, over 50 cases of NCoV infections have been reported. 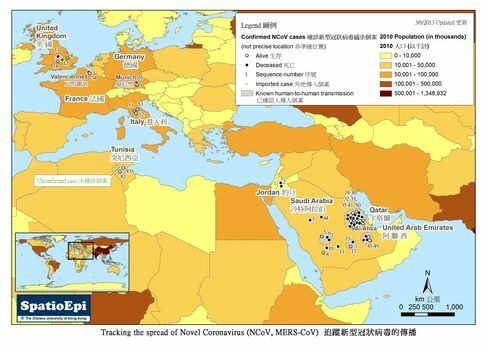 This map shows the distribution of NCoV cases, most of which resident in Middle Eastern countries - Qatar, Saudi Arabia, United Arab Emirates (UAE) and Jordan. Some cases have been reported in Europe (France, Italy, Germany and United Kingdom), where most had travel history to the Middle East. More recently cases were diagnosed in the African country of Tunisia. Almost all NCoV patients have significant respiratory disease, and more than half have died. A minority of cases presented with mild symptoms. 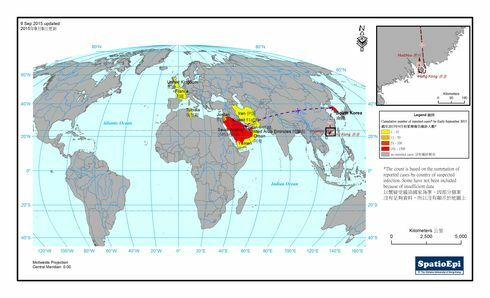 While exposure to animal is the cause of NCoV infections, human-to-human transmission has occurred. 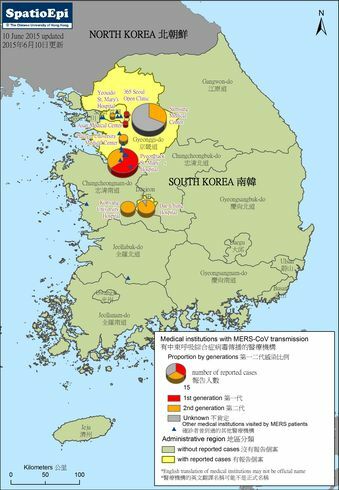 Clusters have been reported in family and health care facilities. 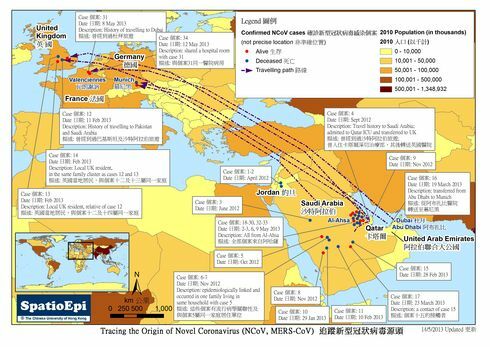 It is obvious that the virus is crossing country boundaries and has moved across continents.